If you're looking to put together a new gaming rig, Newegg’s got some great deals for you today on the most important components: the processor, motherboard, and graphics card—and you'll get a couple of free games for good measure. First up, the retailer is selling a special deal combo of the Ryzen 5 2600 and the ASRock X370 Killer motherboard for $230Remove non-product link after a $25 mail-in rebate. That’s about $70 cheaper than buying these two components separately. 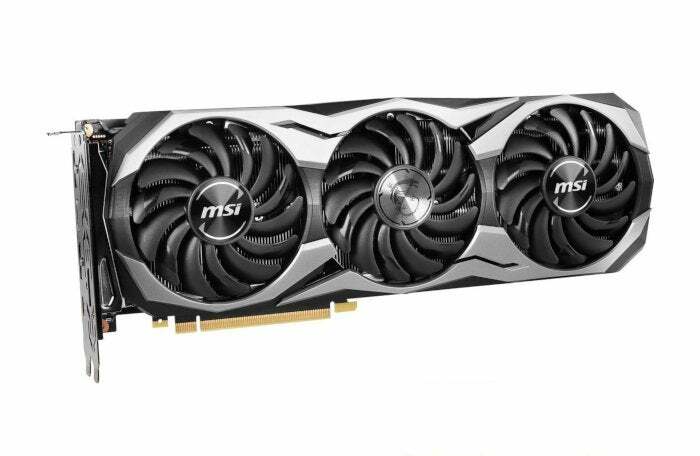 For graphics, you can grab the MSI GeForce RTX 2070 Duke 8GB OC for $480Remove non-product link after a $20 mail-in rebate. All together you’re paying $755 upfront for both deals, but you’ll get $45 of that back in rebates. When you’re looking for value on a new gaming rig it’s hard to beat AMD’s Ryzen series right now given the high performance you get at a much cheaper price than an Intel chip. The 3.6Ghz AMD Ryzen 5 2600 is a 65-watt CPU featuring six core and twelve threads, and this version of the Ryzen 5 comes rocking an AMD Wraith Stealth cooler. On top of that you get Tom Clancy’s The Division 2 for free when you purchase this processor. The RTX 2070 is a solid option for 1440p gaming and entry-level 4K performance. In addition, you get a free copy of either Anthem or Battlefield V. This particular version of the RTX 2070 is usually around $530, and the best price you’ll find for any RTX 2070 is $500. This card is one of the most powerful around, and it'll be even better once ray tracing and deep learning super sampling (DLSS) become a standard feature in games. We haven’t reviewed the ASRock X370 Killer motherboard, but it’s an affordable option that’s even cheaper as part of this deal. Whether you're going for one or both deals, you'll be well on your way to building a fantastic gaming PC. This story, "Hey PC builders, check out these Newegg deals on the Ryzen 5 2600 and GeForce RTX 2070" was originally published by PCWorld.